Franklite single light table lamp features a circular base plate in polished chrome finish with a matt black stem, holding a tapered off white fabric shade. The product code is TL504. This simple design has 3 adjustable point on the stem which allows you to direct the light where required and the combination of chrome and matt black creates an elegant look, perfect for any room within your home. Double insulated and operated by a switch located on the cable. 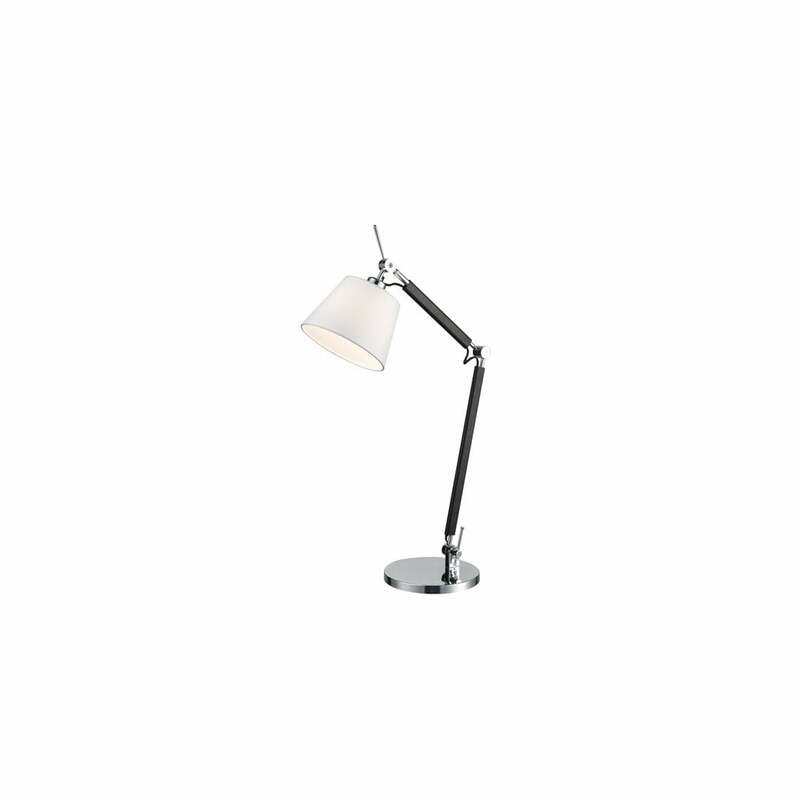 A matching wall light and floor lamp is available in this range, which can be viewed on our website.